When it comes to the water you use and drink at home, you want it to be as clean and as safe as possible. Unfortunately, here in the San Diego area, our drinking water contains at least eight harmful chemicals. This includes chloramine, chloride, and ammonia, according to California’s Department of Public Health. 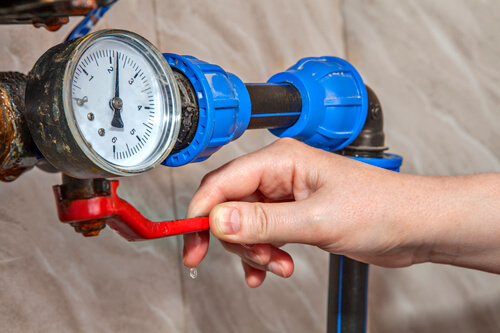 If you want to have guaranteed clean and safe water in your home, call on Steele Plumbing. We can help you with our professional water filtration system installation services. In order to best serve our customers, we searched for the best system to filter out impurities and dangerous chemicals, and we are proud to sell and install Flow-Tech water filtration systems. We would like to tell you a bit more about these systems and how they can benefit your home. How do Flow-Tech water filtration systems work? Flow-Tech uses environmentally friendly electromagnetic technology to treat your entire plumbing system; whether or not the water is running! A low-frequency signal is pulsed several thousand times a second to reverse the charge on your water’s minerals. During this reversal, these minerals are forced to transform into tiny seed crystals that remain suspended until they are harmlessly washed away with your wastewater. This reduces the amount of scale that minerals leave behind in your pipes. They can decrease your water pressure, increase your energy usage, and cause your appliances to break down prematurely. What are the benefits of installing a Flow-Tech water filtration system in my home? Having safe and clean drinking water in your home is an excellent benefit, but one of the greatest advantages of investing in a Flow-Tech system is the amount of money you will save on water bills. According to Flow-Tech, you can reduce your annual costs by almost 50 percent after installing one of their water filtration systems in your home. This means you are also reducing your energy usage and increase your energy efficiency. These water filtration systems are low-maintenance, and the life of your appliances will be prolonged as you use this system. Not only does it remove existing scale buildup from your plumbing system, but the electromagnetic pulse keeps it from forming and accumulating inside your pipes. Enjoy the benefits of clean and safe water in your home with the Flow-Tech Pure or Home Max. Contact us today at Steele Plumbing to schedule an appointment for a water filtration system consultation with our expert staff.